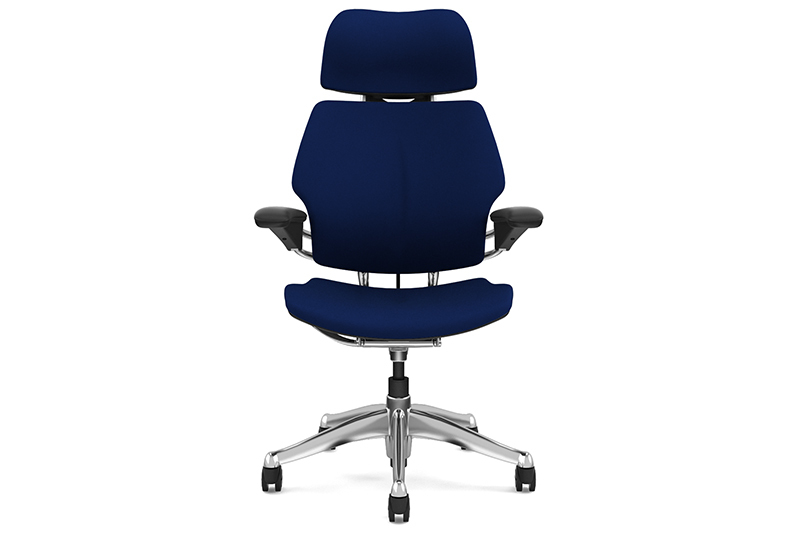 One of the most desirable office chairs on the market, the Humanscale Freedom Headrest was designed with the user foremost in mind while still managing to maintain an elegant look. These chairs are truly ergonomic as their recline mechanism perfectly adjusts to the user without the use of traditional levers. Various frame colors, textiles, armpads, and other customizable options available. Please contact us for more information.